RALEIGH, N.C.--(BUSINESS WIRE)--Sep. 24, 2018-- Regency Centers Corporation (“Regency” or the “Company”), a national owner, operator, and developer of grocery-anchored shopping centers, has announced the acquisition of the Ridgewood Shopping Center. Located in Raleigh, NC, Ridgewood Shopping Center was originally developed in 1951 and has operated as a grocery anchored center for the past 67 years. Ridgewood Shopping Center was purchased in a joint-venture partnership where Regency owns a 20% interest. The center is located inside Raleigh’s Beltline, less than three miles from downtown, and anchored by the city’s original Whole Foods. Placed among the strongest demographics in the market, Ridgewood is proximate to NC State, Meredith College, and Raleigh’s most-affluent neighborhoods. 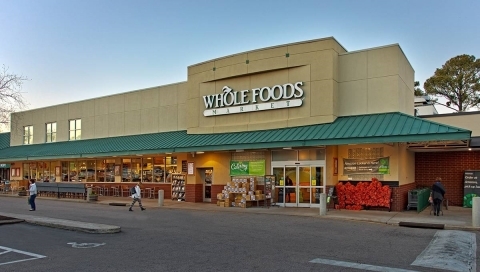 Along with Whole Foods Market, Ridgewood Shopping Center is also home to Walgreens, Orvis, Fleet Feet Sports and a collection of long-tenured local tenants servicing the trade area. This is Regency’s 13th property in the market, including Cameron Village, Midtown East, and Market at Colonnade Center.